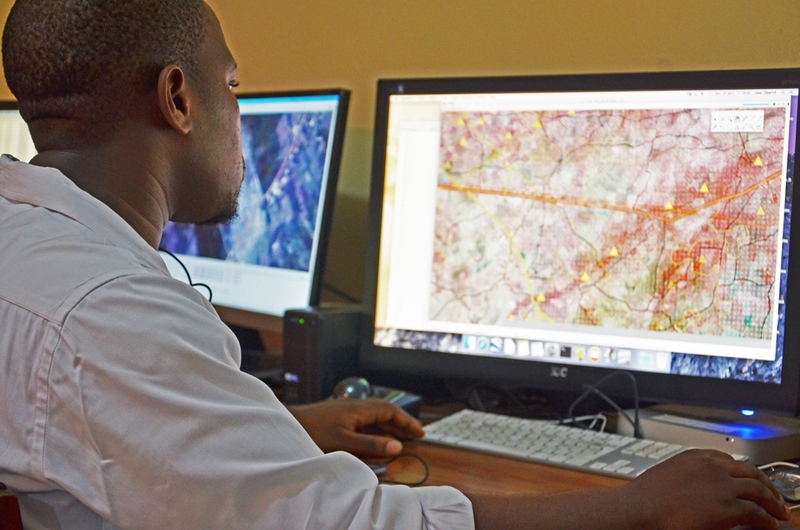 In October 2014 IGN FI was awarded a contract to carry out digital mapping of the entire country of Benin at a scale of 1:50,000. Apart from a very few exceptions, the cartography of Benin had never been updated since the country gained its independence. The project to update Benin’s national mapping is co-financed by the European Union in the framework of the Global Climate Change Alliance and by the United Nations Development Program (UNDP), and will be officially completed during the week of April 15th. The UNDP will mark the occasion by presenting the result to the Benin government in a ceremony to be held on April 18th at the French Institute in Benin, which will be attended by numerous officials. See the programme of the evening organized on April 16th with the theme “New maps for a new Benin”.